You Are Here: Home > New Vehicles > Maxima > Learn more about the 2016 Nissan Maxima! Learn more about the 2016 Nissan Maxima! The 2016 Nissan Maxima has been making headline news in the past few months. This all-new Maxima is defined by many as the “4-Door Sports Car.” The sleek, sporty design is not the only aspect of this car that is turning heads. The 2016 Maxima comes with plenty of innovative features, never before seen in any other Nissan’s before. It is paving the way for the rest of the Nissan lineup and we are thrilled to have it arrive on our lot! Not only the does the new Maxima look extraordinary on the outside, it also serves a greater purpose. The 2016 Nissan Maxima is precisely sculpted for a sweeping aerodynamic profile. The breath-taking design is complimented by impressive exterior features such as the Diamond-Cut Finish wheels and custom tires, the floating roof, and the signature lighting. Look amazing while achieving a fuel-efficient 30 mpg highway* in the 2016 Maxima. The 2016 Nissan Maxima comes standard with a powerful 3.5L 24-valve V6 engine and an Xtronic continuously variable transmission generating 300 horsepower. The all-new Xtronic CVT redefines what you thought you knew about the average continuously variable transmission. It has been redesigned for both enthusiasts and economists to feature dynamic step shifting, wider gear ratio coverage, and an adaptive shift controller creating a more connected driving experience, along with better fuel economy. Shift into Sport Mode for a heavier, more powerful drive, or back to Normal Mode for a smoother, refined, fuel-efficient drive. Test what you thought you knew about the Maxima and experience better, more dynamic handling in the redesigned 2016 Nissan Maxima. 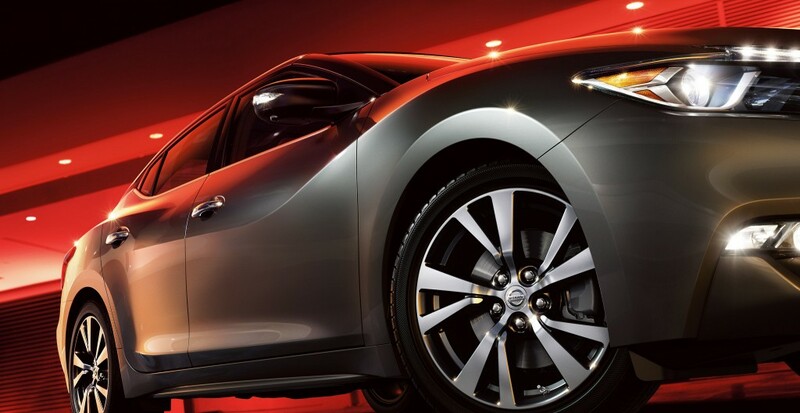 The 2016 Nissan Maxima focuses all of its attention on the driver. The 7° console tilt, inspired by the GT-R® cockpit, positions every button, dial, and knob for immediate control. 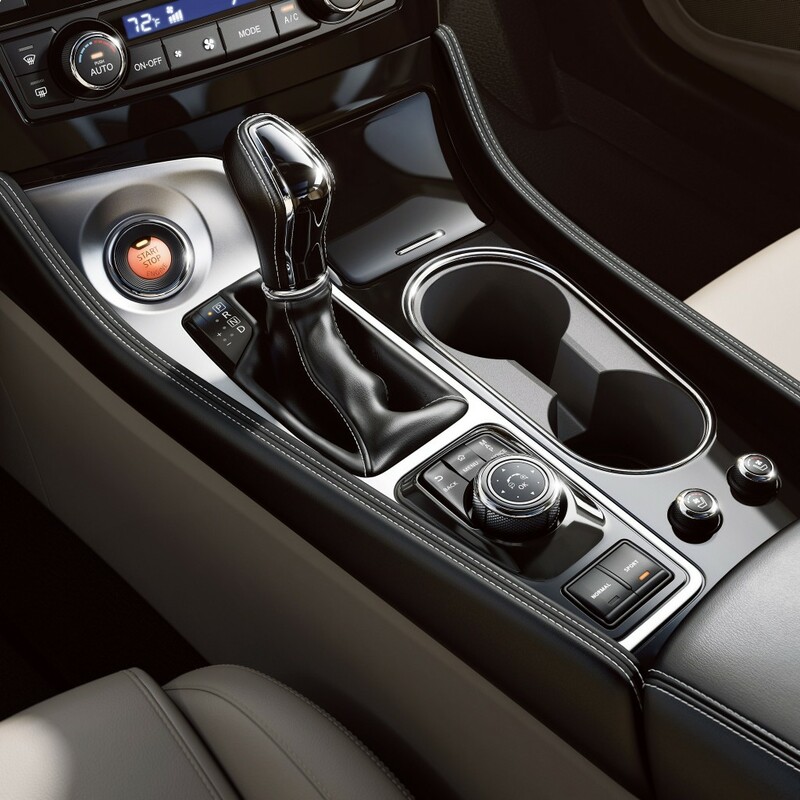 The Display Commander, positioned just behind the gear shift, was designed to give the driver complete control of the NissanConnect? feature without having to look down or touch the display screen. With everything you need right at your command you can relax comfortably in the Zero Gravity seats with available Diamond-Quilted inserts. The 2016 Maxima is all about safety! With innovative safety features like the Driver Attention Alert, a forward-thinking technology that works by monitoring steering patterns and alerts you when there is unusual steering activity, the Predictive Forward Collision Warning, which alerts you to risks up ahead as well as monitors the speed and distance of the vehicles in front of you, and the Forward Emergency Braking, which uses radar technology to monitor your speed and proximity of the vehicle ahead of you, and if a collision is unavoidable, will engage the brakes to reduce speed and impact of the collision. Get everything you want in a fancy sports car in a practical, family-friendly car like the 2016 Nissan Maxima! Be sure to stay in touch with Carriage Nissan to find out when the new Maxima will be arriving on our lot. Contact us if you have any questions.